Tropical fruits offer a significant opportunity for agricultural and economic growth for many ACP countries. However, while production, processing and marketing of some better known fruits such as citrus, mangoes, avocadoes and bananas, has benefitted from significant investments including in research and development, primarily to service export markets; this has not been the same for many other tropical fruits. This dossier comprises two lead articles by ACP and EU experts and provides links to relevant documentary resources on tropical fruit processing. It seeks to highlight the challenges and opportunities in adding value to tropical fruits and provides policy guidelines to support industry development. In the first lead article, Ludovic Temple of CIRAD, France, explains how the development of the horticultural sector and the determinants of innovation are linked. For major tropical fruits that are traded internationally; foreign investment, research and development and technological advances e.g. refrigerated storage as well as improvements in logistics have been critical. International standards have also driven innovation, and emerging standards such as organic and fair trade are creating new market opportunities. While the benefits have accrued to large-scale well-organized producers and other actors along the value chain, small family-scale fruit production and processing enterprises have not been able to meet the requirements of large-scale retailers. They are also reluctant to take the risks of investing in new technology, such as introducing novel disease-resistant varieties. There is still a need to accelerate the adoption of new technologies and improve coordination to their benefit. 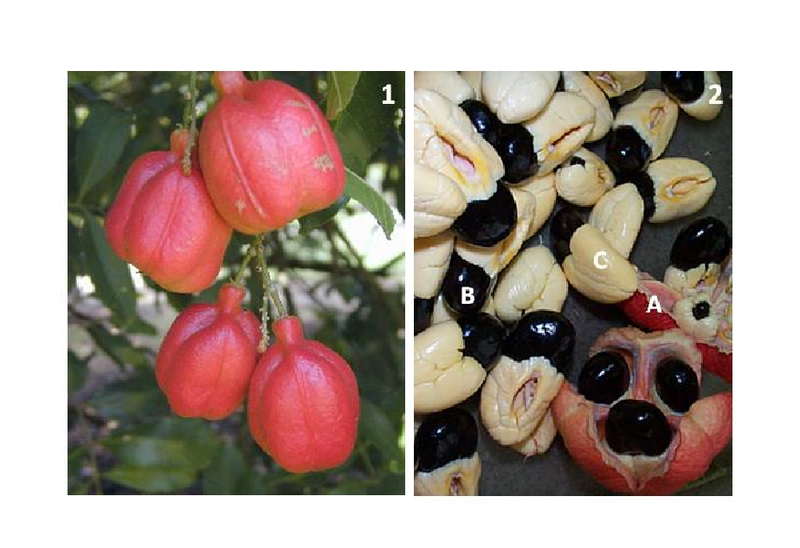 In the second lead article, Machel A. Emanuel and Noureddine Benkeblia, University of the West Indies, Jamaica, demonstrate the challenges faced in developing the Jamaican ackee (Blighia sapida K.D. Koenig) industry. Ackee is well accepted by Jamaicans but not well known in many other countries; it has the potential to contribute to the growth of the Jamaican economy if the industry can increase its penetration of international export markets. However, the ackee contains a toxic compound, hypoglycin A, which poses a challenge in meeting food safety requirements. There are also other challenges hindering industry development including availability of suitable processing variety in adequate quantities. Research and technology development have supported industry development but challenges remain. In 1972, the US Food and Drug Administration effectively banned the imports of ackee from Jamaica. An upper limit of 100 mg/kg of hypoglycin A was set. In 1990 an accurate detection procedure was developed, allowing importation of tested produce into the USA to begin again. However, in 2005, the exportation of ackee to the US market was again suspended for almost one year for technical reasons. Presently, only certified agro-processors with food safety controls in place can export canned ackee that will not be automatically detained. Further growth of the industry needs a concerted effort of scientists, engineers, policymakers, investors and entrepreneurs including farmers to support this export-oriented industry which remains heavily dependent on maintaining the confidence of the overseas consumers. Tropical fruit industry expansion in ACP countries does not rely only on coordinating and improving production and logistics efficiencies but requires a systems approach. This folder was compiled and edited by CABI and CTA, June, 2012. Adding Value to Tropical Fruits – The Case of the Jamaican Ackee Industry: Lessons for Policy and Practice.